Maybe the sea level is rising because the certain parts of the earth is sinking? The earth could be simply changing its shape. I mean, if the north pole is sinking and creating a meltdown, then there would be the formation of earthquakes cracking east to west around the equator. Its a well-known fact that climate is always warmer in the lower altitudes. EXTINCTION PROTOCOL states “If this granitic craton motion is changed due to some tectonic reason, one may see subsidence at large scale and since a fault is present along Kanpur-Lucknow; there could be danger of large surface deformation,” Singh cautioned. The effect of motion of this block will be reflected in widespread cracks, he said. Its slow deformation may also have led to seismic tremors which may not be noticed by human population. –India Today.” If you look at the earth from space and remove all the water, you would see the whole note changing its formation over a long period of time.” There is no perfect circle. It’s always changing. Quoting the transcript of NOVA | Hunting the Hidden Dimension: “Classical mathematics is really only well-suited to study the world that we’ve created, the things we’ve built… The patterns in nature, the things that were already there before we came onto the planet—the trees, the plants, the clouds, the weather systems—those were outside of mathematics.” It’s our inability to understand this planet as though it was a person, that is creating fear. The most common antidote to fearing something is to place blame on someone. The ‘North Pole’ ice cap sits ON WATER, there’s no land between the ice and ocean. Let me think here,….what am I most likely to die of in the next 50 years? “Global warming”,….”Climate change”? Starving to death from a crushed and crashed economy? No job? Rampant crime? A race war? Poor medical or “health care” Obammycare or lack thereof? An Islamofascist Iranian nuclear weapon going off in NYC, Washington DC or other American city? Obamabola? I’m thinking an Islamic nuke, Chinese military “adventurism”, Putin going insane and nuking The USA? The North Korean fruitcakes doing something insane? I’m voting for an American race war, an Islamic nuke, a violent revolution in the USA. It ain’t going to be from “global warming” or “climate change, that’s for damn sure. Is this a reputable organization? Good data, plain reasoning, strong conclusion. Tidal gauge data, meager as they are, show slight but clear deceleration of global ocean shoreline ‘rise’. Note the study is done by two ’emeritus’ scientists. Emeritus status removes them from directorial and management positions, but also releases frees them to perform the study and to release their findings with no career repercussions. Thus, it is likely their conclusions are supported more by the data than by concerns about the grant funding agendae of elitist, statist trust fund and philanthropic foundation managers. (722.1) 64:4.13 …early Neanderthalers could hardly be called sun worshipers. They rather lived in fear of the dark; they had a mortal dread of nightfall. As long as the moon shone a little, they managed to get along, but in the dark of the moon they grew panicky and began the sacrifice of their best specimens of manhood and womanhood in an effort to induce the moon again to shine. (mayan timekeepers) The sun, they early learned, would regularly return, but the moon they conjectured only returned because they sacrificed their fellow tribesmen. As the race advanced, the object and purpose of sacrifice progressively changed, but the offering of human sacrifice as a part of religious ceremonial (easter) long persisted. It hasn’t changed much, has it! The scientists offer everyone valuable information, but “be aware” that its easy to develop a group mind, if left uncontested. They offer suggestions and theories only of which we process in our own way. All those facts are written through a specific belief. What i’m offering is an expanded understanding, which includes every piece of information available to date. An understandable metaphor is dropping a pebble into a large body of water, instead of observing the 1st, 2nd and 3rd ring, i’m interested in what the 10th ring has to say. We can’t physically see the 10t ring because we are too close to it, but it’s form is still there. And its already been discovered how to find it, thanks to Benoit Mandelbrot. Paying attention to the changes along the coastlines is one of ten perspectives. but what is changing the water level of the coastline is another? What if, the Earth behaves like a cup! Whether the Arctic IceCap is frozen or melted the water level theoretically will remain the same. MY EXPERIMENT was IF ICE MELTS IS THERE MORE WATER AFTER ITS MELTED OR NOT? I PUT melted WATER (oceans) IN A GLASS. I marked the water-level (coastline) AND POURED the water INTO AN ICE CUBE TRAY (arctic cap). Once the water was frozen I returned those ice-cubes back into its original glass. This, IN CONCLUSION WILL PROVE TO ME, THAT IT’S THE CHANGING OF THE SHAPE OF THE EARTH, NAMELY THE RISING & sinking of the crust of the earth that’s CREATING the change in the coastline. WATER finds its own level. (660.5) 57:8.3 The real geologic history of Urantia begins with the cooling of the earth’s crust sufficiently to cause the formation of the first ocean. Water-vapor condensation on the cooling surface of the earth, once begun, continued until it was virtually complete. By the end of this period the ocean was world-wide, covering the entire planet to an average depth of over one mile. The tides were then in play much as they are now observed, but this primitive ocean was not salty; it was practically a fresh-water covering for the world. One billion years ago, the shape of the earth was dramatically different than it is now. Let’s say that on earth, the evolution of this planet is about changing its shape according to the note that is being played on that universal sheet music. There’s a total of 6 wavelengths; 6 IceAges. The wavelengths are Red – Orange – Yellow – Green – Blue – Indigo. The height & depth of the 1st (red wavelength) is definitely higher and lower than the 6th (indigo wavelength). For example: if the earth crust is evolutionarily changing its wavelength from the 5th to the 6th, the height and the depth has changed and because of that, the water level would definitely change the coastlines. (660.7) 57:8.5 950,000,000 years ago Urantia presents the picture of one great continent of land and one large body of water, the Pacific Ocean. I’ve observed that the purpose of the MELTDOWN OF THE ARCTIC is to create FEAR in humanity. The two components of religion is Passion or Fear. The purpose of a belief is to alter the shape of how we see something. To change the wavelength from blue to indigo blue. If we believe something a different way long enough we’ve altered its shape…The universe is the sheet music of which the earth is one of its notes. Change the perception through integrating everything we read to develop our own understanding, instead of reacting to something we have yet not understood, with fear. The ice on, for instance, Greenland is on a land mass. If it melts it flows into the oceans. Your experiment is meaningless in this regard. Actually. most of it is in a bowl, so it won’t. It will sit there until it freezes again (the next night). The Earth is like a steam engine. A steam engine has a boiler and a condenser. Water evaporates in a steam boiler. Similarly, water evaporates at the equator to form water vapor. Wind then transports the vapor to Greenland where the vapor turns into snow. 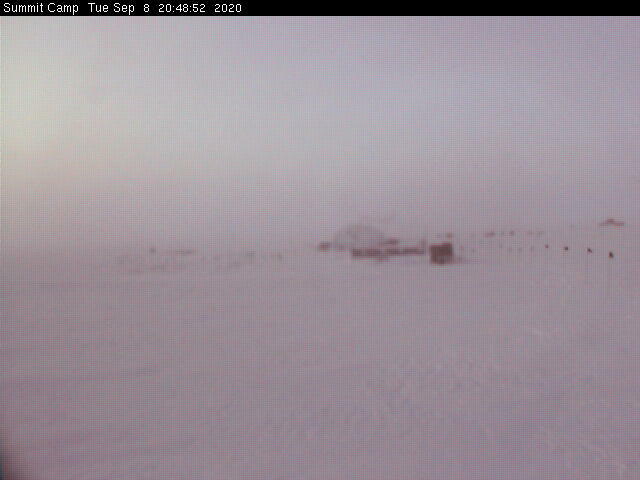 Less moisture being trapped at Greenland as ice proves that global cooling is occurring. Greenand is heated mainly by condensation not by sunlight. For example, in winter it is almost totally dark in Greenland. Rising sea level proves that global cooling is happening. Global cooling results in less water vapor being transported to Greenland, for example, and so less snow at Greenland and at the North Pole. We call it weather. Climate is changing as it always has. So now comes the ruling elite, with an agenda to control the people. The pretext is that people cause change, and that the change they cause is bad. So the change is not caused by people, and the change has good and bad implications for the world. Some aspects are bad, some good. Now comes the ruling elite who want to inslave the people by limiting their life style to a subsistance level. Sientists are whores by in large. They say what the ruling elite tell them to say, and what they are paid to say. We need to defund sientists. What if the Earth is more like a parfait? Then Al Gore would eat it. No he wouldn’t, Buck O’fama. He’d sell it to the Saudi Royal Family. R. Blakely’s comment makes perfect sense. To paraphrase, I think there is a correlation between clear scientific reasoning using validated, peer reviewed empirical climate data and a huge reduction in the imminent threat of Global Warming in this millenium!!!!! Methinks……. The article says that more glaciers were melting recently than in the 1930’s, but the melting ones were melting faster in the 1930’s. The article also blames cooling from 1943-1972, “probably due to sulfur pollution, which reflects sunlight away from Earth.” The glaciers grew. “Global dimming” has been proposed as a reason for cooling from 1941-1978 and recently because of China power plants. I’m skeptical, however. Dimming particulates don’t stay in the atmosphere long enough to cross the equator in significant amounts. Almost all the “dimming particulates” have been released in the Northern Hemisphere. So, for dimming to be a valid reason for the cooling periods, we should see a dichotomy between the northern and southern hemispheres…with the north dimming and cooling with the clear south keeps warming. This did not happen. The best computers and metrology models, developed over several generations, with real time data input from 10s of thousands of measuringpoints, and we still can not make reliable weather forecasts more than 2 to 3 days. End of discussion. I think you are all blind to reality. Global warming is a natural occurrence that has several precedents in known history. Carbon increases in the atmosphere and reflects heat back to the earth. This carbon is the life-blood for plants. As the climate warms tree proliferate. Leafy tropical species trend north and south from their equatorial boundaries as they devour the atmospheric carbon. This overpopulation of plant life (ironically mimics overpopulation of human kind) reverts the carbon balance and so heat is no longer trapped in the atmosphere and so the temperature drops. Trees, unable to survive the colder temperature, die off and so too the other species that have tagged along for the ride. Typically, the worlds colder climes revert to ice age conditions, further trapping carbon in the ice sheets. Dead and dying plant life becomes susceptible to fire which then releases the carbon stored in the woody trunks back to the atmosphere. The earth warms slightly and the ice age begins to thaw, releasing more trapped carbon back into the atmosphere, warming the atmosphere even more. Eventually the trees at the equator begin to respond to the new warming atmosphere and begin to track out towards the Poles again thus completing the cycle. All this has played out tkime and again over the eons. This time there is a difference…….. THIS TIME WE ARE CUTTING DOWN ALL THE TREES!!!!! Nature has a built in safe system that regulates itself. Examples are found widely in the animal kingdom, of which, despite our denial, we are a part of. Rabbits breed rapidly during times of abundance, yet as soon as conditions become less favourable they cease breeding immediately. By that I mean that even young embryos are reabsorbed rather than being brought into a world that is detrimental to survival. Kangaroos do the same. The Climate regulates tempurature as described above and without the intervention of other influence, in this case human development, would soon begin to correct any anomaly as it occurs. If we add to the fact that we are destroying natures own cure by removing our forests, we are also releasing carbon to the atmosphere that the natural scheme had long buried. Coal and oil are carbon sinks that store largeexcesses of carbon well away from the atmosphere. We in our greed have released and continue to release this carbon to the atmosphere at such rates that it is nigh on impossible for nature to respond in a timely manner. That in a nutshell is the crux of the problem. As far as the sea levels are concerned, I am not sure what he experiment with the ice cubes is about but I can say that it has nothing to add to the climate debate as it has no relevance to reality. Ice that is situated on land will add to the sea level and ice that is floating will not. Whether greenland is a bowl or not the ice levels there overflow the edges of any bowl and a large proportion of that ice will end up in the sea. That is fresh water and as such will have an effect on the ocean currents, most likely slowing the flow of warm equatorial waters to the poles. This will, in Natures way create global cooling, perhaps by way of iceage conditions. The earth has outlived many, many species and civilisations, and humans time on earth would hardly rate a dot on the timeline. If we don’t change and bend to the will of nature we will not survive but you can be sure that long after we are gone that cycle of warming and cooling will persist. Once we are gone there will be no one left to cut down the trees! The world has plenty of trees. We are going paperless in many respects. We have lots of humans but plenty of open space. All Plant life including crops etc… will benefit from increased greenhouse gasses. The earth is 75% water. Algae and other plant life with thrive with increased CO2 levels. Maybe I am wrong but maybe I’m right. The ice on Greenland survived temperatures averaging 1-2.5C warmer than today for ~ 8k years prior to the current (cooler) era. There is a theoretical but diminishing possibility of a brief return to those temperatures before this interglacial ends. IF this occurs, it is unlikely to have any significant impact on the Greenland ice. I have a theory on all of this melting of the polar ice, the ice cap on Greenland, and the rest what’s left of the glaciers and whatever else. It’s a simple thought of “what if”. What happens if the ice melts and moves to the oceans? It’s displaced from a land mass to the ocean, correct? The removal of ice could mean possible upheaval of the landmass, correct? And moving of ice to the oceans means pressure on the landmasses and the mid-Atlantic ridge, correct? Has anyone noticed what happens when you overfill a flexible pool? The outsides of the pool bulge to accommodate the excess water, correct? Personally the rising ocean idea is a bunch of crap. The earth is dynamic and forever changing. If anything happens what I see is an increase of earthquakes and a rapid spread of the mid-Atlantic ridge. Does anyone else see this? That would lead, logically, to the expanding earth hypothesis, which makes perfect sense to me. And no, I’m not being facetious. Taking in mass from the influx of cosmic particles (or however), the planet expands, and has been for a long time. This results in the drifting apart of continents, among other things. And as the mass increases, so does the distance from the sun in the earth’s orbit. A smaller earth, in closer orbit (less gravity) would easily support gigantic creatures that nowadays would no longer be able to function. Today we find the animal mass limited to the size of an elephant, not a brachiosaur. About a thousand years ago, why did the Vikings name Greenland “Greenland”? Was it because the land mass was covered to a great extent by lush grasses and other plant life? Evidence of campsites mark their presence. I flew over Greenland in 1988 and it was a solid white color meaning ice and snow dominated. Green one century and white ten centuries later. Looks to me like the earth’s natural cycles in play. But then, I’m only using common sense. Greenland had a green belt and was named Greenland to get idiots from Iceland to settle there. What Vikings were not absorbed into the Inute were killed off by “massive” pirate raids in the 1300’s. What I hate was that the weather reports from West Point from 1820 on, were ignored because they did not fit the ‘program’. Not enough points to be useful….any point is useful if used for coming on 200 years. There are Believers saying the hacked/leaked E-mails were quoted out of context because of ‘Jargon’. They were quoted fully….proving massive statistic manipulation. Since Global Warming cooled, it’s now ‘Weather Change’….like the weather didn’t change before. Now, though you are at fault for the weather too. Pay now! Bad weather now….looks a lot like the bad weather of Kansas 1860-1880’s. Such massive hurricane damage has never been seen before! Yep, the difference between building with old fashioned expensive long nail 2″ by 4″ vs modern short nail 1″ by 3″ inch housing for the last two generations. Just released and I was enthralled with content. Free to download and over 500 pages. people.Science is considered a religion. There are TWO ice caps. While the Arctic melts the Antarctic increases in size. Therefore by this simplest of observations, the ocean will not rise as it is being balanced by the other pole. The sea isn’t rising. If it were more than just the northeast coast of the US would be underwater. The earth is starting to revert to its correct form aft having miles of ice sitting on it for tens of thousands of years which lifted the edges of the land mass up.